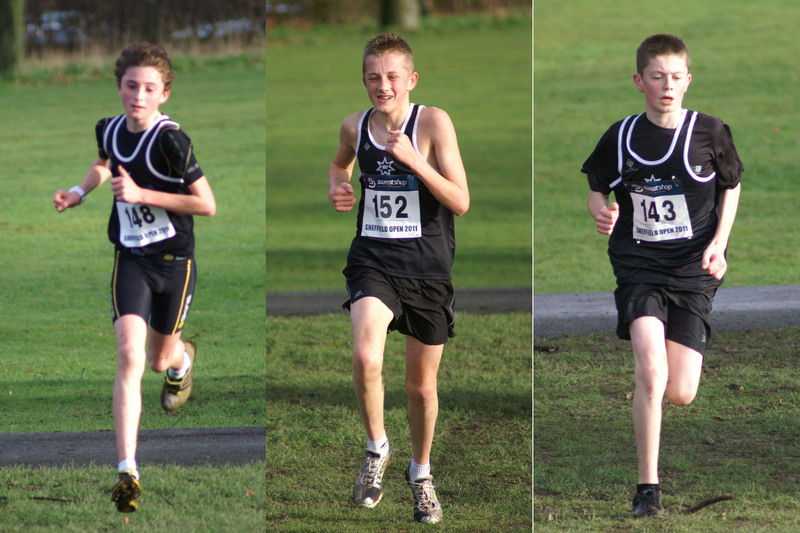 The last event for 2011 attracted a high standard of competitors from all over the North of England. Luke Cotter had a confidence boosting victory in the U17 mens race, beating Andrew Smith from West Yorkshires Pudsey & Bramley club. Andrew finished 3rd in last years Yorkshire Championships (where Luke was 10th), so the win should give Luke some confidence going into this years county champs next Saturday 7th Jan at Wakefield. Jess Freeman finished second behind Chloe Loredo from the North East club, New Marske. A good run considering Chloe was 5th in last years Northern Cross Country Champs at Sunderland. Emma Dutton started positively but had to pull out due to a recurrence of the breathing problem she has been experiencing of late. Ryan Beale (2nd) Devon Stead (3rd) and new member Daniel Bradford (pictured) won the U15 boys team prize, beating Hallamshire 18 points to 24. Philippa James picked up the 2nd O45 prize.